Stoke City star Peter Crouch has revealed that he told the Potters dressing room that Xherdan Shaqiri 'would go there and rip it up' after learning about the Swiss international had secured a summer move to ​Liverpool. Shaqiri signed for Liverpool in a £13m deal during the summer and, despite not starting regularly, the Swiss international has made a real impact so far. In his column for the Daily Mail, Crouch insisted that he always believed his former teammate would be a success on Merseyside. ​“To see him thriving for Liverpool, then, comes as no surprise to me," he wrote. “When he got his move to Anfield in the summer, I said to a few of the lads in our dressing room that he would go there and rip it up and that is what he has been doing over the last few weeks. "In terms of ability, he is up there with the best I’ve played with. Trust me, he can be whatever he wants to be." Crouch has been impressed by his former side this season and insisted that his Shaqiri can prove to be the difference in winning a trophy. 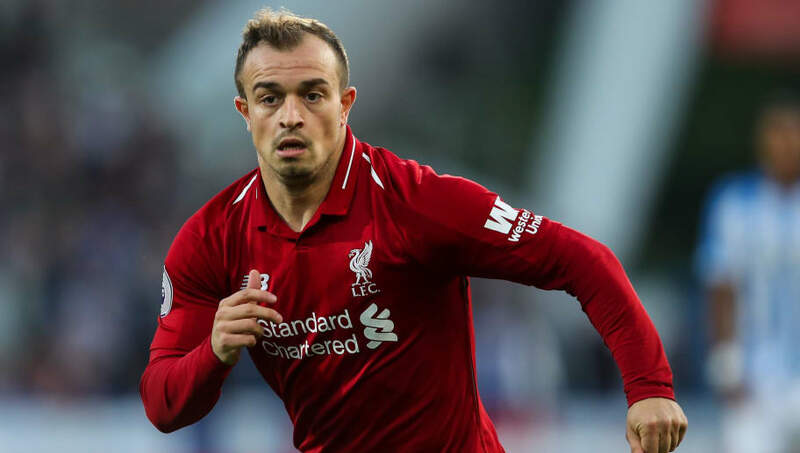 Shaqiri has not nailed down a place in the Liverpool team as yet, but with three assists in eight games in all competitions, the Swiss international has proven to be a successful summer signing. The beast that is Liverpool’s attack is finally awakening. Shaqiri and Fabinho been brilliant. The Reds struggled near the end of last season due to the lack of strength in depth, but the signing of Shaqiri summer arrivals of Naby Keita and Fabinho have added more midfield options.